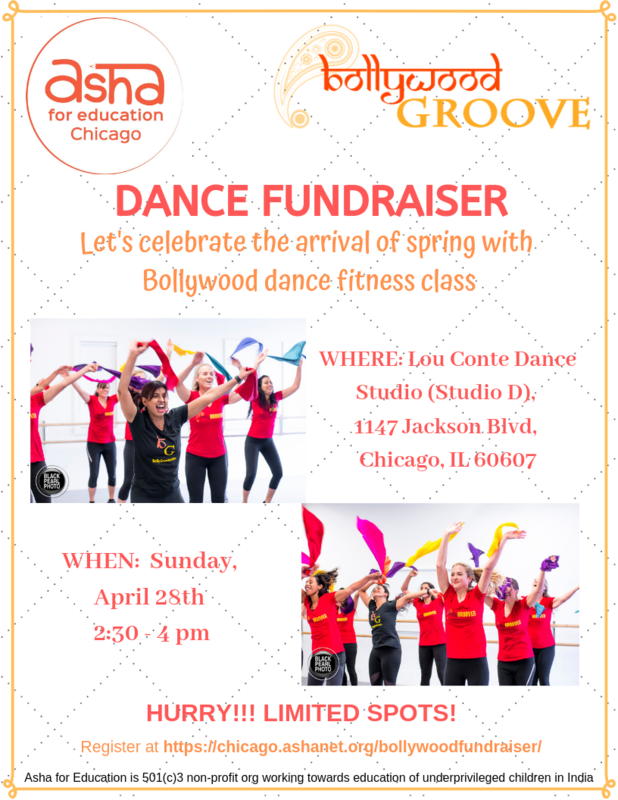 Asha Chicago in partnership with Bollywood groove is organizing its first ever bollywood dance fundraiser on April 28th, Sunday . Dance to the infectious beats of Bollywood music with joyful moves getting an amazing total-body workout! Sweat. Smile. Groove… and all for a great cause! * No prior experience needed. Just bring your smile! * Dress in gym attire. No barefoot dancing. Asha for Education is a 501(c)(3) tax-exempt non-profit organization so all donations made via this fundraiser are also tax exempt.